A permanent solution for dried up road funding includes a gasoline tax increase. But the spark of public support is essential. Everyone complains about Alabama roads, whether they’re backed up in interstate traffic in Birmingham and Mobile or taking a long rural detour to avoid an unsafe county bridge that should have been replaced years ago. But for the last several years, a gas tax increase to pay for better roads has been a non-starter in the Legislature, and the last such increase was 25 years ago. This year, even as elections are taking place in the House and Senate, legislative and business leaders have been quietly working toward generating revenue to maintain and improve roads and bridges over the long term. They plan to present a bill with a package of changes — including a gas tax increase — in the 2019 regular session, and they hope this time it will gather enough momentum to get to a vote. The problems have moved beyond the well-known Malfunction Junction snarl in Birmingham and the daily back-ups on I-10 in Mobile. “When people are traveling up and down the state, we’re finding now that I-65 is becoming so overcrowded that there are delays on the highway and people are having to just stop to a crawl many times,” says House Speaker Mac McCutcheon. Since 1993, Alabama’s gas tax has been 18 cents per gallon and 19 cents per gallon of diesel fuel. After a quarter of a century, population shifts, construction costs and improvements in vehicle mileage have rendered the tax inadequate to meet the needs. The most recent stopgap, the popular $1 billion ATRIP borrowing package, has run out and must be repaid; debt service will take chunks of money that otherwise would have been available for road work. Multiple studies by non-partisan groups, such as the Public Affairs Research Council of Alabama, document the percentage of deficient roads, the condition of bridges and the amount of time people spend sitting in traffic with their car and truck engines burning gasoline. One well-known study by the American Society of Civil Engineers in 2015 handed out report cards on 11 types of infrastructure. Alabama’s overall grade was a C-minus, the same grade awarded to the state’s bridges. Roads received a D-plus. For the last three years, says McCutcheon, funding packages have either failed to get to the House floor or failed to get enough support to call for a vote. Attempts to generate statewide support, including a Joint Transportation Committee tour, have also failed. 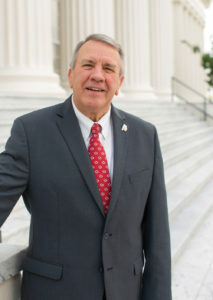 But since this year’s session, he says, he and Senate President Pro Tempore Del Marsh have organized an informal task force that has been meeting in Montgomery to come up with a package of options and a draft bill to pre-file for 2019. The task force is made up of government officials and business interests. It doesn’t even have a name, but it does have committees and breakout groups. The Alabama Transportation Institute at the University of Alabama and the Texas Transportation Institute at Texas A&M have both been involved in providing information — TTI because it has done research on similar issues facing Texas. McCutcheon says the meetings have been held at the State House in public and have been well attended, although they haven’t received much news coverage. The group intends to be open and transparent and isn’t trying to force a tax increase on the public, he says. But a gas tax increase is expected to be part of the package, and that means the new Legislature will have to deal with a subject some candidates would rather not talk about in an election year. “I don’t mind looking at other sources of revenue, but at the end of the day, for people who don’t live in our state, I want to make sure that when they do come through our state they have to pay something to use our roads. And there’s where the gas tax is so important,” McCutcheon says. McCutcheon is unopposed for re-election. • A percentage of the price of gas. Other states have enacted this, McCutcheon says. Tax revenue rises when gas prices rise, but drops with lower gas prices, so there would have to be a floor to ensure minimum adequate funding, he says. • A tax on electric cars and hybrid cars. These vehicles pay little or no gas tax. Options include attaching a fee to annual car registration renewals that would be equivalent to what an average Alabama driver pays in gas tax, and/or setting up recharging and filling stations with a specific tax attached. • Tolls. Page says he hasn’t seen much interest in toll roads in Alabama, but the subject should be discussed. In Mobile, plans are well under way for a public-private partnership to pay for a proposed Interstate 10 bridge over the Mobile River and widening the Bayway into Baldwin County (see story on page 16). • Additional revenue that could be generated from Uber drivers, driver-less cars, and other technology improvements. The Business Council of Alabama has been involved in the discussions through the Alliance for Alabama’s Infrastructure. Page is a BCA board member. 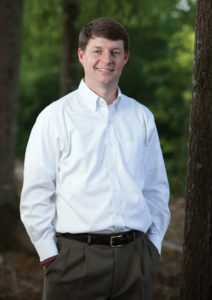 Drew Harrell is deputy chief of staff of the BCA and executive director of the Alliance. Harrell says improved road funding remains a part of the BCA’s legislative agenda, and that agenda includes a gas tax increase. But like others working on the issue, Harrell says the funding plan must address the future, as well as the current crisis. “We just want to make sure that it provides adequate funding, sustainable funding and stable funding,” he says. Jane Nicholes, Robert Fouts and Cary Norton are freelance contributors to Business Alabama. Nicholes is based in Daphne, Fouts in Montgomery and Norton in Birmingham.